Cleveland-based composer Margaret Brouwer has always loved being near water. Brouwer's new oratorio tells the story of the fight to conserve Lake Erie. 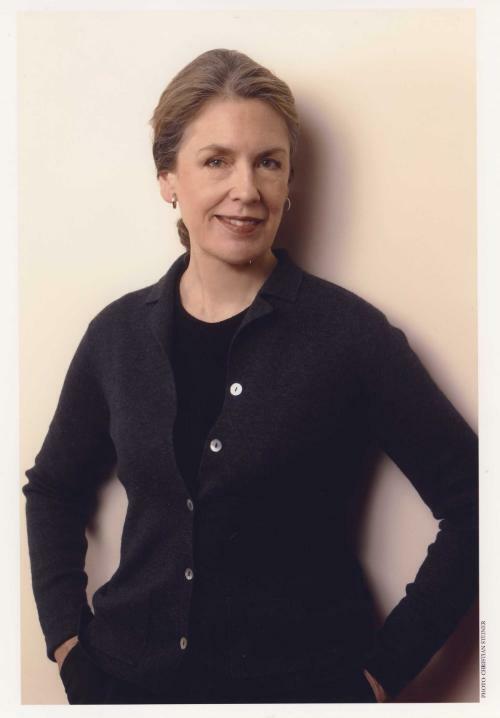 Water frequently finds its way into classical music, whether it’s Handel’s iconic “Water Music” or Benjamin Britten’s “Four Sea Interludes.” Cleveland-based composer Margaret Brouwer has composed a piece inspired by Lake Erie. Specifically, the piece deals with the recent drama about what to do with toxic sediment dredged from the Cuyahoga River and surrounding channels. WKSU’s Philip de Oliveira spoke with Brouwer about the music and the controversy that inspired it. Brouwer composed “Voice of the Lake” at her home in Cleveland Heights, about six miles from Lake Erie. Brouwer has had a lifelong fascination with water. Her First Symphony, written in 1997, invokes lake imagery through sparkling colors and free-flowing melodies. “Voice of the Lake” is Brouwer’s first acquatically-inspired piece to use voices — namely, four soloists and a large chorus. Brouwer originally thought about writing an opera, but decided to write an oratorio instead. In one section of the piece, the chorus members act as spectators at a 2016 hearing in which Democratic Congresswoman Marcia Fudge appeared before the U.S. Army Corps of Engineers. Fudge herself makes an appearance, as Brouwer sets her actual statement before the Corps of Engineers to music. At the actual hearing, Fudge urged the Corps of Engineers to stop dumping sediment into the lake. In Brouwer’s oratorio, the chorus and Fudge go back and forth until the music reaches a fever pitch. Of course, every drama needs two sides. But Brouwer admits the controversy about what to do with the dredged waste moved her personally. “I mean the whole thing was, they said there’s already PCBs at the bottom of Lake Erie, so why not put more in? And that didn’t make sense to me," Brouwer said. The Corps of Engineers recently changed its stance when it discovered it could save money by recycling the sediment instead of hauling it to a containment facility, or dumping it in the lake. Still, Brouwer hopes her piece will raise awareness about keeping Lake Erie clean and the water we get from it drinkable. And she hopes to expand “Voice of the Lake” into a fully-staged opera. “There’s a little talk about that, but nothing I should talk about yet," Brouwer said. The Greater Cleveland Partnership is urging Governor John Kasich to sign a water quality bill sent to him last week. A new way to help control sediment build up in Cleveland’s shipping channel is saving and making money for the port. Sediment flowing to the channel can mingle with pollutants near the port. 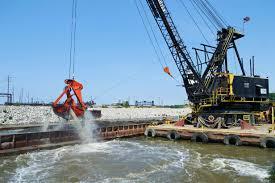 If it is then dredged, it must go to a confined disposal facility. There's one such facility now, and it's filling up. Building another could cost $200million. So, the port and its partners are heading off the problem by capturing sediment upriver. In a surprising turn in the Cuyahoga River dredging saga, the US Army Corps of Engineers collaborated with the Ohio EPA last week to sample sediment on the Cuyahoga River. The two sides have been arguing over the dredged material for years. The winter cold has put an end to Cuyahoga River dredging for the year, amid a lawsuit over where to store riverbed sediment. Dredging will resume in the spring. The state of Ohio and the U.S. Army Corps of Engineers have been locked in a federal court fight for the better part of two years. The state is trying to prevent the Corps from dumping dredged material in the open lake.